On June 14, 2017 the President issued a memorandum to implement the second executive order in 72 hours. On June 26, 2017 the American Immigration Lawyers Association (AILA) issued the following guidance: 1) individuals with current, unexpired visas may use them to travel to the USA; 2) lawful permanent residents, individuals granted asylum, withholding of removal, and protection under the Convention Against Torture, as well as those traveling on advance parole or who have already been admitted as refugees are exempt from the order; 3) workers who have already accepted a position in the USA are deemed to have a qualifying relationship with a US entity; 4) individuals who have a family-based visa to an close family member are exempt from the ban; 5) students who have been admitted to a US university have a qualifying relationship. 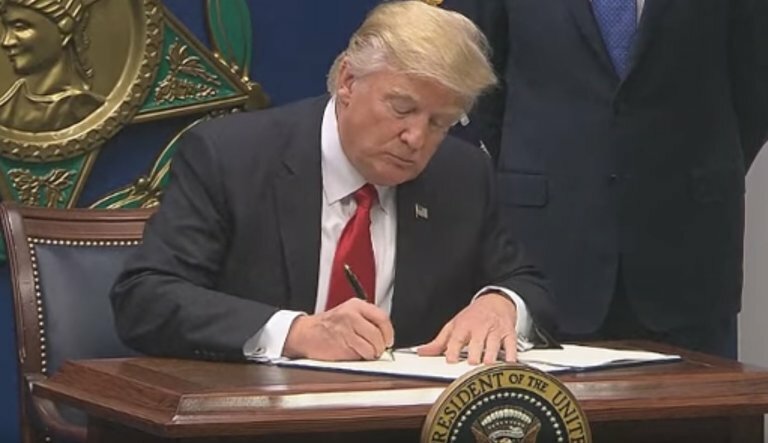 On June 26, 2017 the U.S. Supreme Court agreed to review the travel ban litigation and consolidated the two cases imposing a restraining order on the ban. In granting the review, the Court allowed the temporary ban of refugees to stay in place and also allowed the limit of 50,000 for the year 2017. However, it qualified that the ban may not be enforced against who have a credible claim of having a qualifying relationship with a US entity or close family member, but all others may be excluded. It further added that refugees with a qualifying relationship may not be excluded, even if they are subject to the 50,000 cap.